Sea glass earrings are so soft, feminine and just plain pretty. 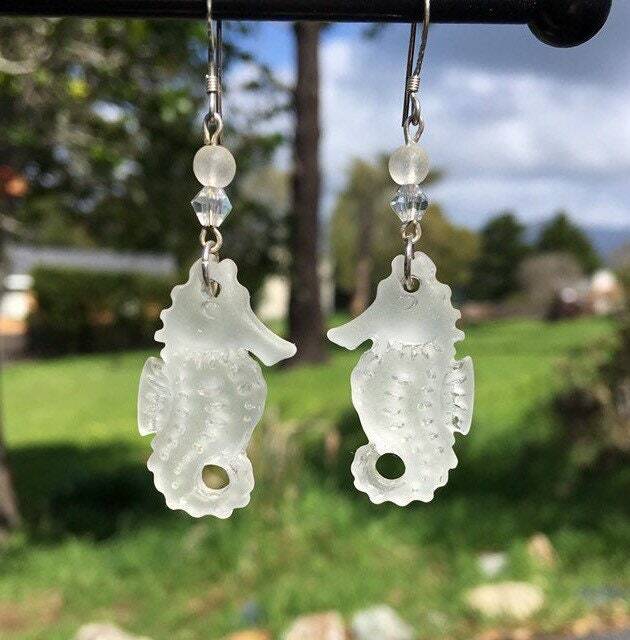 These are darling seahorses for a bit of whimsy. These are about 2" long.